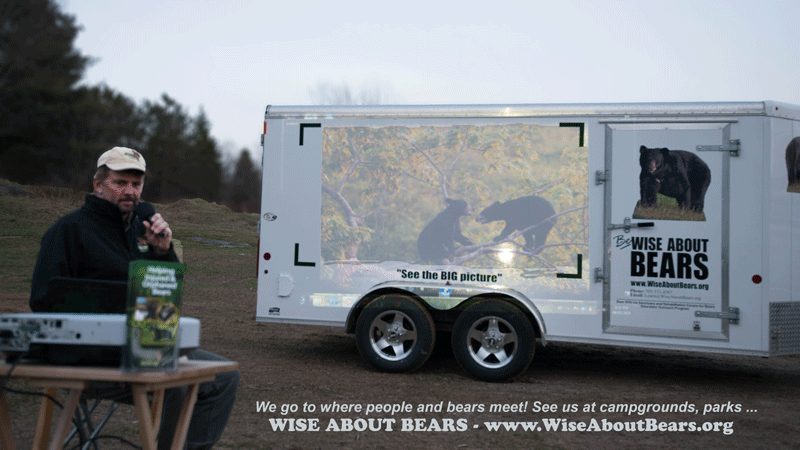 Wise About Bears is an Educational Outreach Program initiative offering education about the North American Black Bear. Wise About Bears is about education for people, so humans and bears may better coexist. The Wise About Bears goal is to work to get a message out in two ways, the first being this website, the second being a mobile education outreach program. We are happy to attend your function, school, nature club, etc. and speak about bears, bear behavior and how we can coexist. If there is no venue available we will bring one, a trailer, so we may project a slide/video information show on location such as in a campground where people and bears may meet. Education about bears and bear behavior is important if humans and bears are to coexist in the human dominated world of today. Allowing people the opportunity to understand bears and bear behavior has been part of the mandate for the Bear With Us Sanctuary and Rehabilitation Centre for Bears for 22 years(2014). 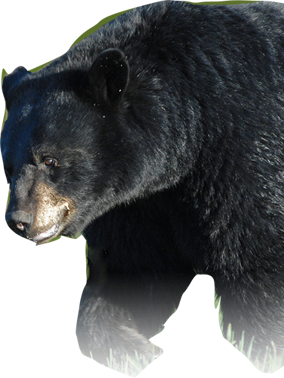 For 2014 the education outreach program about bears and human/bear coexistence is expanding to the areas where people and bears meet, places such as provincial parks and campgrounds that may not have a venue for presentations or speaking engagements. Bear With Us will be on the road going to parks and campgrounds with a mobile slide/video show entitled Wise About Bears. 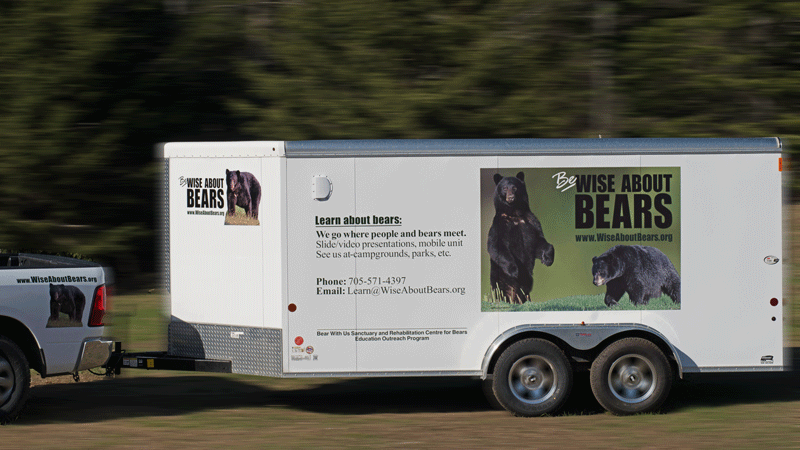 The photo shows the trailer, allowing the program “Wise About Bears” to take to the road and go where people and bears may meet. When the grass turns green and people are enjoying the outdoors in areas where bears live, we offer them the knowledge to safely have fun and peacefully coexist with our wildlife including bears. We are continuing to fulfill the mission statement for the Bear With Us Sanctuary and Rehabilitation Centre for Bears. Mission Statement for Bear With Us Sanctuary and Rehabilitation Centre for Bears: To promote the understanding, appreciation, and respect for bears, a species near the top of the evolutionary scale, a species in direct niche competition with the human race. 4-Conflict Resolution; Assisting people and bears to coexist together. Individual consultation with people about how not to encourage a nuisance bear by removing food attractants, live trapping and relocating individual bears when other potential solutions have been exhausted. Through education, action and example, we strive to encourage an appreciation, respect and understanding for bears. 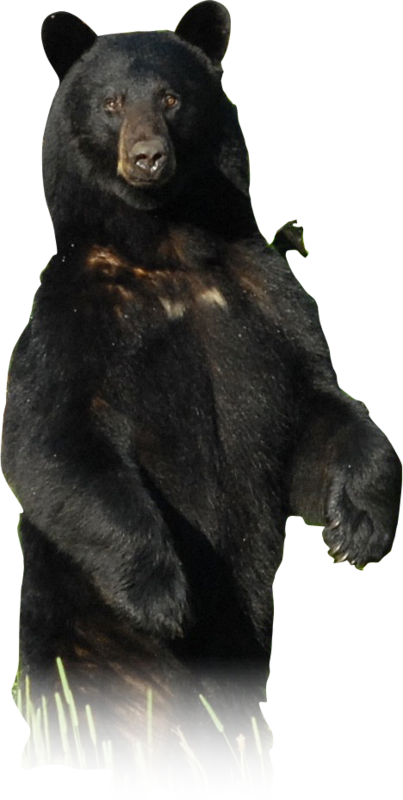 Wise About Bears is about bear education, specifically the North American Black Bear.